Maintaining an up-to-date database of your chemical inventories is not only necessary for meeting compliance with OSHA regulations, but also crucial for supporting safe and effective chemical risk management in the workplace. As part of our recommended best-practice approach for ensuring an accurate SDS collection, SafeTec offers on-site inventory services — a solution that will bring concrete organization to your chemical inventory structure, thus leading to comprehensive chemical inventory knowledge. Uploading your existing SDS data into our proprietary SDS management platform. Conducting on-site, facility-wide systematic inventory reviews. Categorizing and identifying the locations of all products. Matching each product with your SDS information. The number of products encountered. How many products had up-to-date SDS records filed in your SDS collection. A list of products that were matched to a SafeTec catalog record. The number of products encountered that were neither in the your collection nor in the SafeTec catalog. A list of obsolete products. 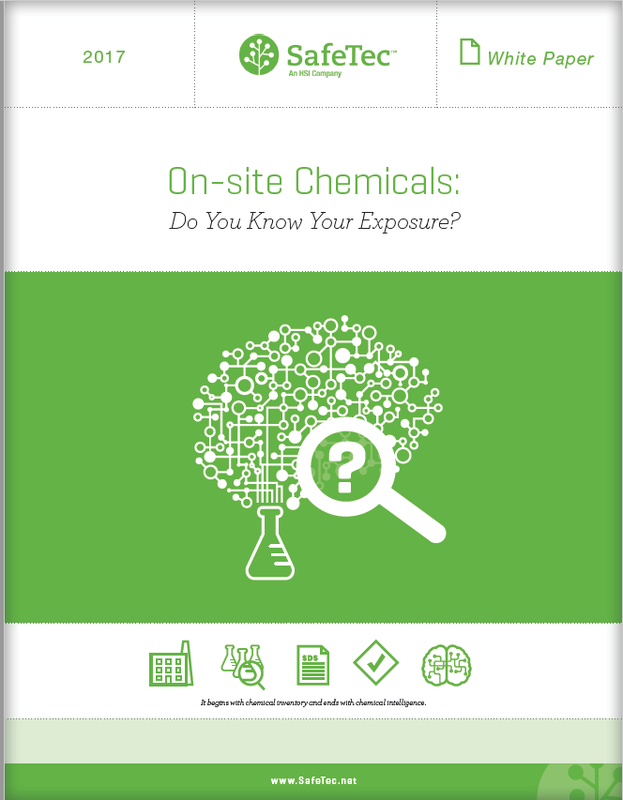 Download On-Site Chemicals: Do You Know Your Exposure? An on-site chemical inventory is the first step for any business to get a true understanding of all its existing chemicals. Adhering to a few best practices can go a long way toward increasing your organization’s chemical intelligence.